NAYN NAY NAYN NAY NAY AY AY NAY AYN. Yes, those are software sprites on a 3,5Mhz Z80. Tjoppen to be exact about hardware limitations there's 64kb RAM, 16kb VideoRAM. 320x200 takes 8kb vram for each BITPLANE(like on atarist or amiga) so you get 4 colors on screen from 16 color palette. Remember you have to fill up TWO(!!!) bitplanes to have multicolor sprites. AY-3-8910 beats barely SN76489 so that tells you something about the sound quality. I DO agree that even considering the hardware limitations this isn't technicly that good of a prod. 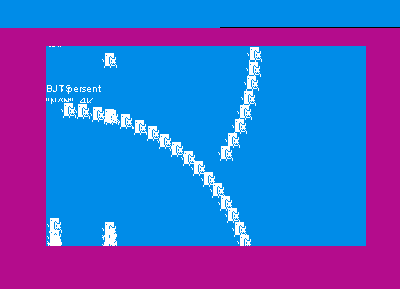 http://paste.servut.us/y1gt <- I think a smart z80 coder understands what's going on. After line 191 there's 'precalculated' ~addresscode that draws the wanted sprite. I guess you could store some commonly used bytesets to registers so you don't need to use eg. rez, because it's NAYN not NYAN. NAYN != NYAN. Ah, I see that it's actually redrawing everything every frame. Decent blitter throughput then I suppose. It's just that I see more interesting things being possible with this. Thumbing this up just because of the name. MZ-800 doesn't have a blitter. All done on Z80. Also, don't you mean four colors per scanline? Surely careful timing allows for more colors per screen? Haven't tried it before but I'm sure it could be done. page created in 0.019745 seconds with 15 queries.